Chelsea were embarrassed by Manchester City on Sunday afternoon (6-0). Back in March 2018, Antonio Conte took the Blues to face City and set his side up very defensively, parking the bus on that day and they lost 1-0. 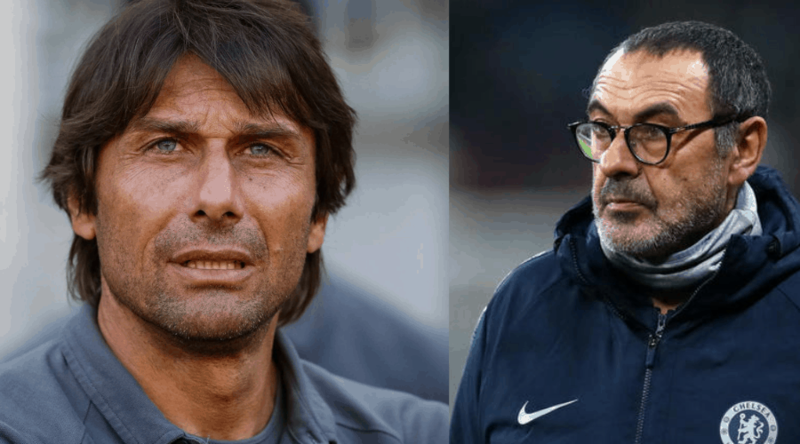 After the game, the Italian coach defended his tactics and it’s those comments that have come back to haunt Sarri. “I’m not so stupid to play open against City and lose 3-0 or 4-0,” Conte said after the game last year. “If I remember, Arsenal played against them like that and you criticised them a lot because they conceded three goals in 30 minutes. However, those same pundits that slammed Conte have slammed also Sarri. “I called a couple of Chelsea performances a disgrace going into this game, this is as bad as anything,” Jamie Carragher said at half-time, per the Mirror.